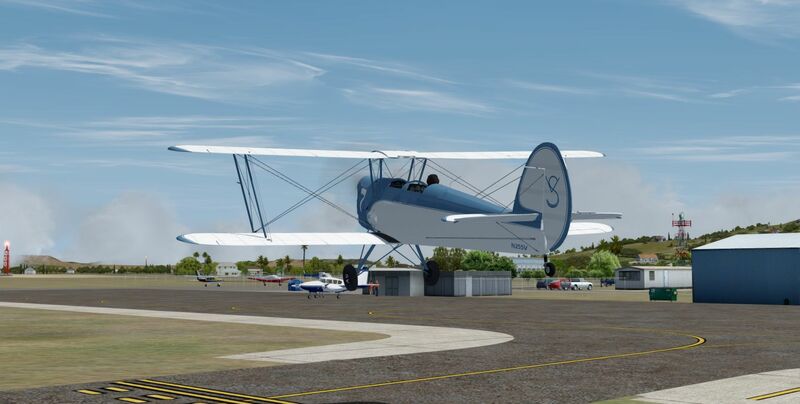 Stampe leaving one of the new John Barner Global Airport Freeware package additions, out of KGNT, (Grants-Milan Municipal), New Mexico. He made some nice refinements to the stock airfield. KGNT located at 6,500' meant the Stampe took awhile to leave the ground. Excellent shot and glad you like the airport. That's pretty cool TTM! You must really love those old biplanes, never heard of a Stampe.